A few years back we took a trip to 100 Islands. This is a great place for a day trip. Just go to the port landing area, and rent a banca boat for the day. Pack a good lunch and have a BBQ on one of the islands. 100 Islands is located in Alaminos, in the province of Pangasinan in northern Philippines. The view from one of the islands through the trees. Like to travel in the Philippines. 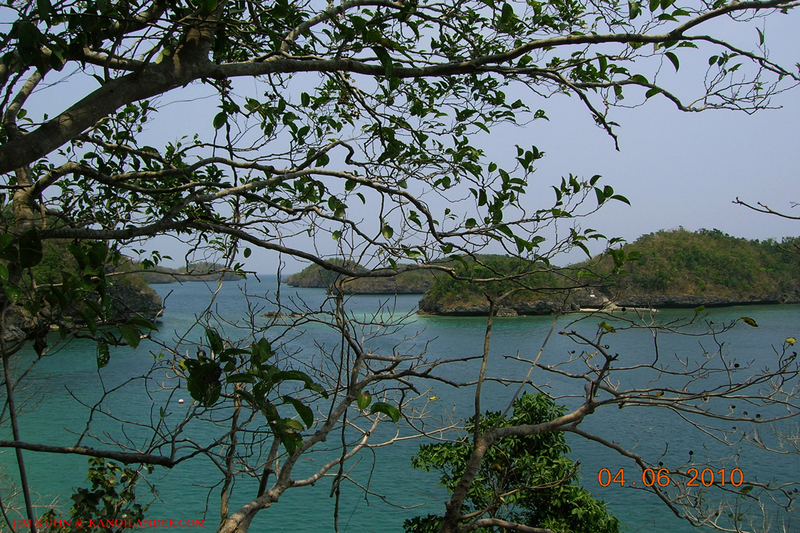 This entry was posted in Photo of the Week and tagged 100 Islands, Banca Boat, BBQ, Day Trip, Luzon 2012, Travel Philippines, vacation. Bookmark the permalink.